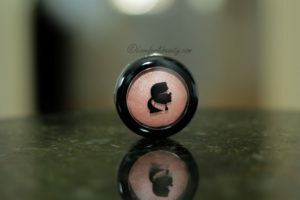 The color I received is warm rosy beige and it is a really nice color for a highlight. I usually get the once with blue shimmer in them and they really look awful on my skin. I have a warm skin tone and blue highlight shades simply makes me look weird. 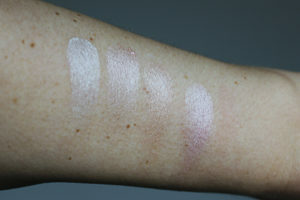 If you are on the paler side a bluish shimmer might look beautiful on you. 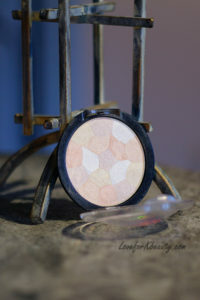 The highlighter is super creamy and it is really easy to apply and to blend out. 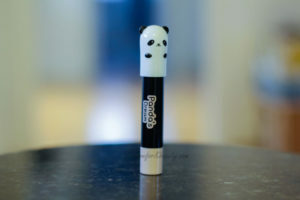 It is not a very pigmented highlighter which makes it perfect for daytime use. I really do like a contoured face but not when someone is using a super strong contouring during the daytime.